Who says there has been - In the central area (Esquilino district) about 200 meters. 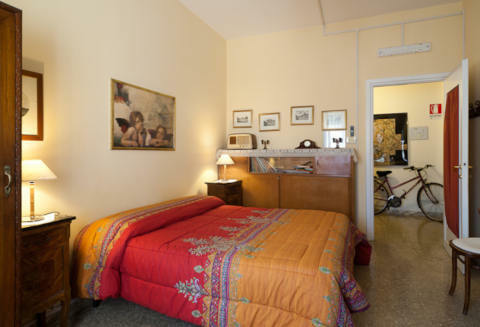 from the Ambra Jovinelli theater and 15 minutes walk from the Colosseum and Termini station. The rooms are cozy and clean (air conditioning, LCD TV and free wifi). The bathrooms are functional and equipped. Good breakfast plenty. Friendly staff and attentive to requests. Good value for money. Who says there has been - In front of Termini Station on the 5th floor with elevator. Excellent cleanliness of the rooms (well furnished and comfortable bed) and bathroom, air conditioning, LCD TV sat, wifi. Kitchen available and breakfast space in the common area. Breakfast is good and quite varied. Friendly managers and good value for money. 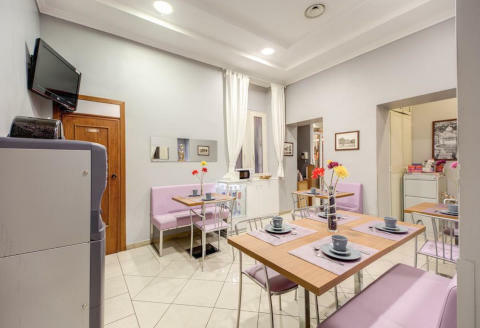 Who says there has been - Two cozy and bright rooms in the Montesacro district, about ten minutes from the city center by bus or underground. The rooms are clean and quiet (air conditioning and ceiling fans, free wifi, no TV), with well-kept furnishings and many retro pieces. Bathroom shared between the two rooms, clean and comfortable. Breakfast is good and plentiful. Excellent reception and availability from the managers. Good value for money. 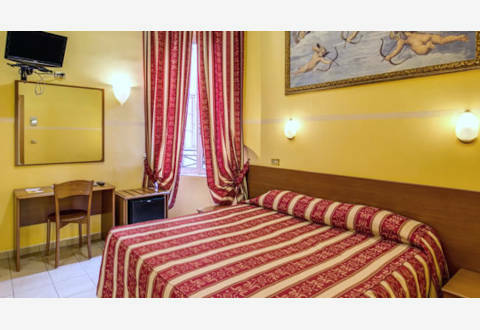 Who says there has been - Close to the Colosseum (10 minutes walking) and Termini Station. Comfortable rooms, furnished in a simple but functional (comfy beds). Basic breakfast to be consumed in the room. Bathrooms not very big and not very equipped (few shelves, missing bidet). Owner (Luigi) Friendly and helpful. Who says there has been - Only a 10-minute walk from St. Peter's, on the fourth floor with elevator. 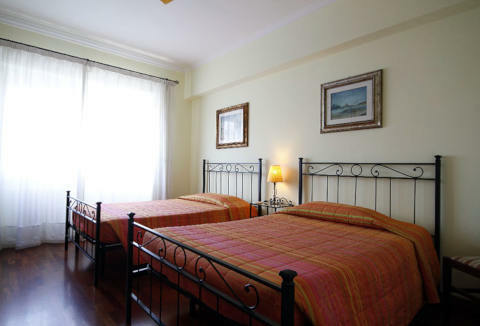 The rooms are cozy, clean and tastefully decorated (nice LCD TV, air conditioning, free wifi and parquet). Reception and processing of very good managers. The breakfast is great. 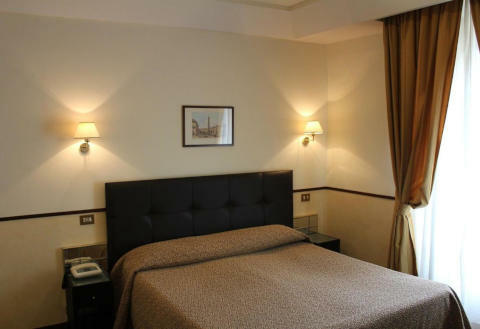 Who says there has been - A 5-minute walk from Termini Station, and just a few meters from the metro. basic but functional Hotel, family atmosphere and very friendly staff and cute. clean and comfortable rooms with air conditioning and free WiFi. Breakfast not extensive but satisfactory. good price. Who says there has been - Good structure in a well-kept late 19th century building in the center of Rome, about 1 km from St. Peter's Square. Rooms not very large but nice furnishings and clean (comfortable beds), with air conditioning and TV. Friendly and helpful staff. Good breakfast, served in the room. Excellent value for money. Who says there has been - An elegant bed and breakfast in a building from the early '900. 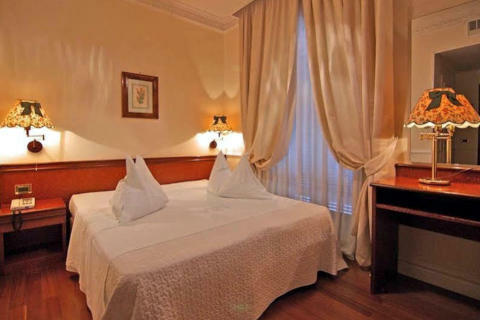 Beccaria Suite is in Rome, in the central area, about 400 meters from Piazza del Popolo. 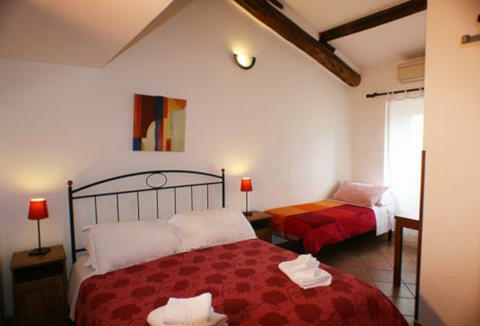 The rooms are spacious, clean, with nice bathrooms and well appointed. Breakfast is fine, served in your room. Great welcome from the owners. Who says there has been - Peace and tranquility in the center of Rome, in the Trastevere neighborhood (a few minutes walk from the Museum of Rome), with garden and orange grove. Parking in the adjacent garage. spacious, clean and tastefully furnished (air conditioning, free wifi and LCD TV). Beautiful breakfast room (good, varied and plentiful). Very friendly staff and family atmosphere. 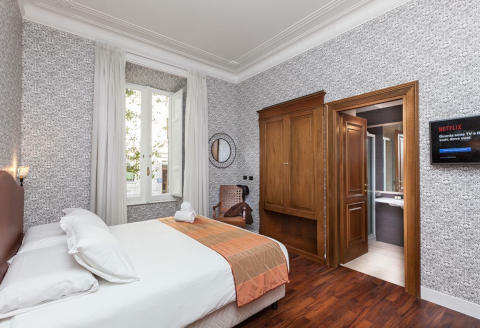 Who says there has been - Rooms not brand new, but clean and comfortable in the center of Rome, in a building with elevator in the Via Veneto area. Friendly staff and good value for money. Good breakfast, satisfying. Who says there has been - Near the metro station, in a quiet area on the 5th floor with elevator. Kindness and availability from the owner. 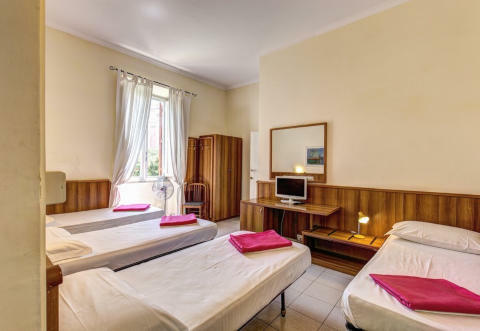 The rooms (with parquet, air conditioning, LCD satellite TV and free wifi) and the bathrooms are large (furnished with new furniture) with excellent cleaning. Good breakfast. 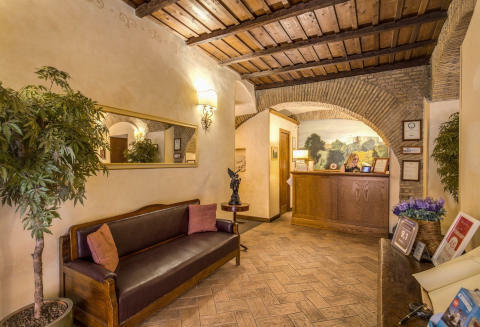 Who says there has been - Centrally located on the third floor of a historic building (with elevator), near the Termini station. Clean and welcoming. Owner and staff kind and helpful. The rooms are a bit small but functional and welcoming (like the bathrooms), with good mattresses and free wifi (no TV). 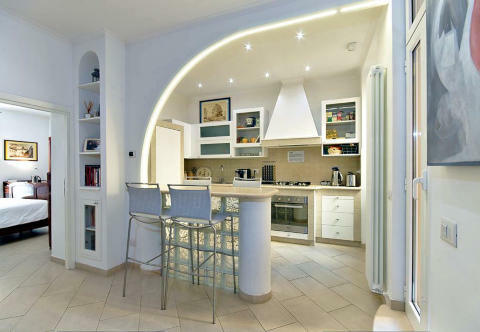 Who says there has been - Neat and clean hotel in the center of Rome in a quiet area (San Giovanni basilica area). Friendly and helpful staff. Cozy rooms (LCD TV and free wifi), comfortable and clean. Satisfactory Italian breakfast. Excellent value for money. 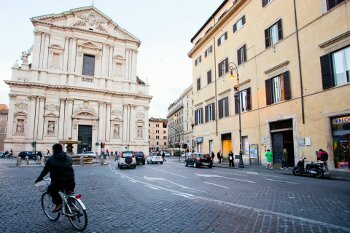 Who says there has been - In the center of Rome, a 5-minute walk from Piazza Navona and the Pantheon, and 15 from the Trevi Fountain. The rooms are spacious, nicely decorated and clean (air conditioning, LCD TV 19 ", free wifi). Recently renovated bathrooms. Excellent hospitality of the owners. The breakfast buffet is plentiful and varied, even with fresh produce (fresh / salt.) Good value for money. 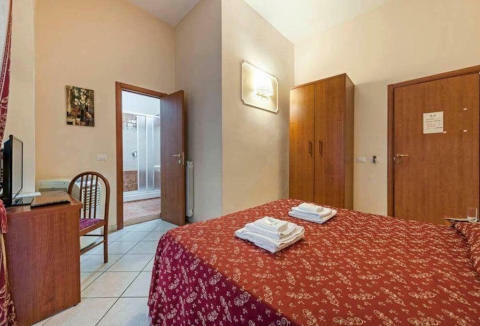 Who says there has been - A few steps from San Pietro (200 meters), rooms not very large and furnished in a simple, but cozy and clean. Simple breakfast. Kindness and availability from the managers. 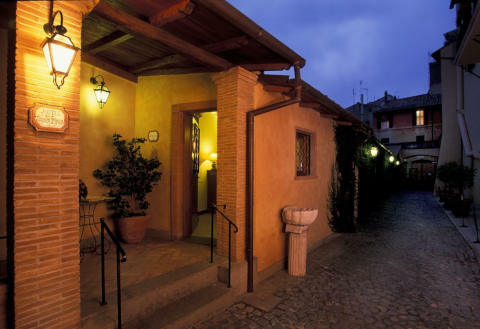 Who says there has been - In the Trastevere area, in the center of Rome, a characteristic "Boutique Hotel". 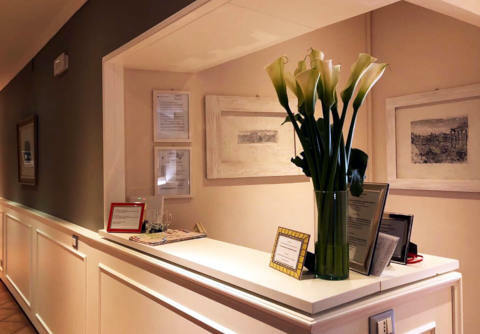 The rooms are cozy, clean and tastefully furnished (air conditioning, LCD satellite TV, free WiFi). Comfortable and functional bathrooms. Very good breakfast, even with fresh and artisanal sweet / savory products. Kettle available 24 hours a day for hot drinks. Staff very helpful, kind and welcoming. Who says there has been - Excellent value for money. clean, spacious, simply furnished but functional (new furniture, hardwood floors, air conditioning, free wifi). satisfying breakfast. Owners helpful and friendly. Bus stop in front, San Pietro a 15-minute walk. Who says there has been - In the center of Rome, near the Colosseum and the Roman Forum, but in a quiet area. comfortable, spacious enough, clean and tastefully decorated. Breakfast served in your room, quite varied and plentiful. Bathrooms some little ones, but functional. staff very polite, friendly and personable. good prices. Who says there has been - On the 5th floor of a 1700s building with lift, in front of the Termini Station. Renovated in 2008, rooms with bathroom, except the two smallest, they have one in common. Air conditioning, LCD TV with DTT. Who says there has been - Friendly, nice and welcoming managers. 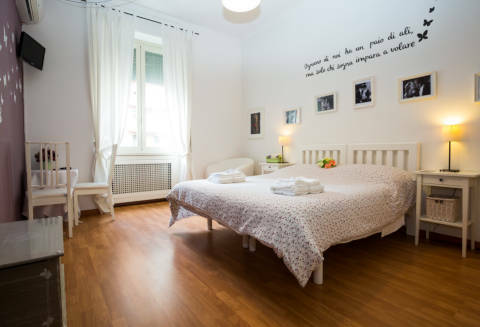 B & B near St. Peter's Square (5 minutes on foot). Spacious, comfortable, quiet, clean and classically furnished rooms (LCD TV, safe and free wifi). Bathrooms and large showers. Breakfast abundant, varied and quality. Panoramic balcony. Who says there has been - In the Cinecittà area, less than a 5-minute walk from the Giulio Agricola Metro stop. 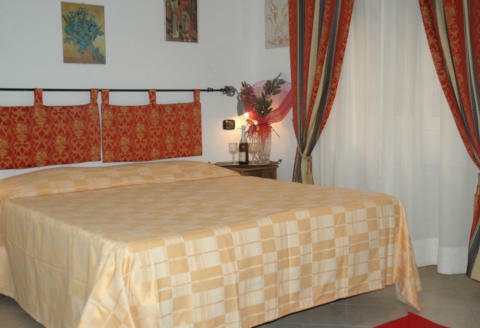 The rooms are clean, comfortable and equipped (air conditioning, free wifi and small tv led). Some bathrooms are a bit small but functional. Average breakfast. The staff were very welcoming and helpful. Affordable prices. Who says there has been - A few steps from Termini train station (100 mt. 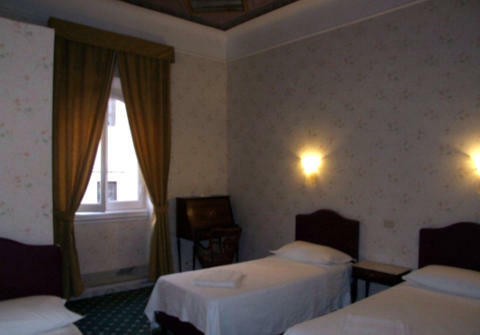 ), Is a small cozy and quiet hotel. 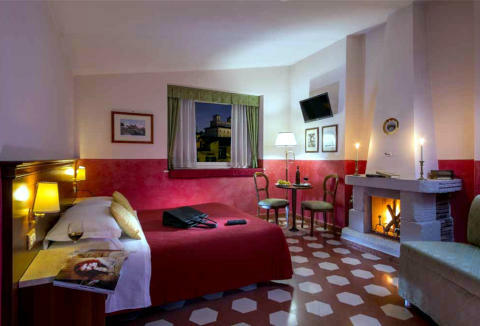 The rooms are not very large, but comfortable, with good beds (including king size bed and 32 "TV), tastefully decorated (style" old Inglese ") and clean. The breakfast is good (sweet / salty) and abundant. The friendly proprietors and available. 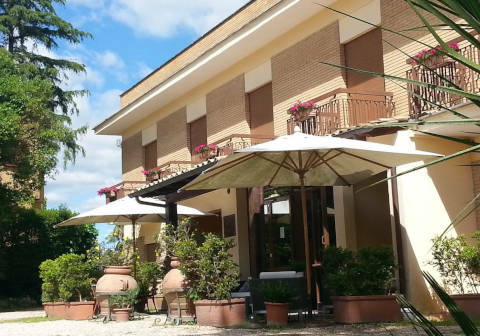 Who says there has been - The bed and breakfast Casa Vicenza is a few steps from Termini station and the main monuments. Rooms with tv, wifi, bathroom and air conditioning. The service offered is a bed and breakfast (self service). elegant and family atmosphere. 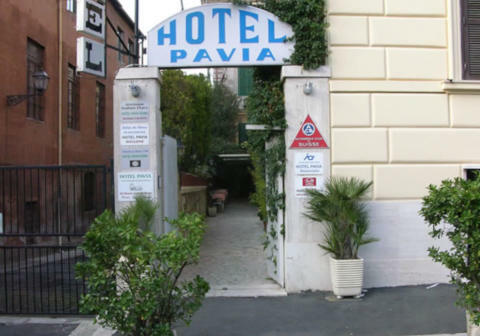 Who says there has been - The Hotel is cheap, near the Termini station (about 300 meters), in the central area of Rome. The interiors are dated, the structure is welcoming. The rooms are not new, they are clean. The elevator is missing. Good reception and availability from the staff. 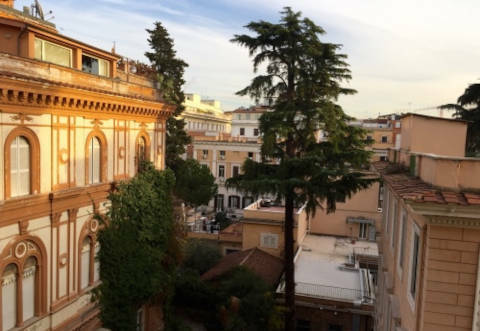 Who says there has been - Central hotel 3 minutes walk from Piazza del Popolo, via Margutta and 5 from Villa Borghese and Piazza di Spagna. Rooms not very large, cozy, clean (LCD TV, free WiFi). Functional bathrooms. Satisfactory sweet savory breakfast. Staff helpful and kind. Good value for money.